Winding Hole below Dean Locks is a minor waterways place minor waterways place place on the waterways major waterways place village town city on the Leeds and Liverpool Canal (Main Line - Liverpool to Wigan) between Appley Bridge No 42 (Canalside hamlet) (1 mile and 4¼ furlongs to the northwest) and Crooke Bridge No 47 (Crooke) (1 mile and ¾ furlongs and 1 lock to the east). The nearest place in the direction of Appley Bridge No 42 is Fisher&apos;s Swing Bridge; 4¼ furlongs away. 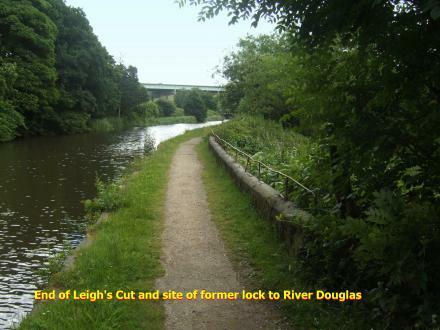 The nearest place in the direction of Crooke Bridge No 47 is Dean Locks No 90 (Two locks side by side); ¼ furlongs away. 60 Roby Mill, Skelmersdale, WN8 0QQ — 1529 yards to the west. 1 Miles Lane, Shevington, WN6 8EB — 1488 yards to the northeast. Wigan — 1506 yards to the northeast. Gathurst Road, Wigan, WN68JB — 565 yards to the east. Jubilee House 5 Broad O'th Lane, Shevington, WN6 8EA — 1507 yards to the northeast. St Anne’s Parish Centre, Shevington, WN6 8BD — 1180 yards to the northeast. Springfiels, Wigan, WN6 7 — 1599 yards to the southeast. Knightscliffe Crescent, Wigan, WN6 8DX — 1540 yards to the north. 2b Gathurst Lane, Shevington, Wigan, WN6 8HA — 1335 yards to the northeast. Gathurst Road, Wigan, WN50LJ — 990 yards to the southeast. Dean Locks, Gathurst Lane, Shevington, Wigan, WN6 8JD — 23 yards to the south. 162 Gathurst Lane, Wigan, WN6 8HZ — 620 yards to the east. shevington, Wigan, WN6 8 — 1332 yards to the northeast. Wigan — 1423 yards to the northeast. Wigan — 1154 yards to the northeast. 19 Martland Av, Shevington, WN68EG — 1121 yards to the north. spring rd, Wigan, WN50JJ — 1599 yards to the southeast. Shevington, Wigan, WN6 8BD — 1423 yards to the northeast. Shevington, Wigan — 1423 yards to the northeast. Shevington — 1569 yards to the east. st annes drive, Wigan, WN68HQ — 1188 yards to the northeast. Gathurst Lane, Shevington, WN6 8HA — 1426 yards to the northeast. Shevington, Wigan, WN6 8HF — 1410 yards to the northeast. Shevington, Wigan, WN68ER — 1423 yards to the northeast. Ardene, Bank Brow, Appley Bridge, WN8 0SY — 1554 yards to the northwest. Shevington, Wigan, WN68HR — 1423 yards to the northeast. Spring Road, Wigan — 1599 yards to the southeast. Gathurst Rd, Wigan, WN5 0 — 990 yards to the southeast. Shevington, Wigan, WN6 8EB — 1367 yards to the northeast. Wigan — 1430 yards to the northeast. Wigan — 1353 yards to the northeast. Wigan — 1204 yards to the north. Advanced Food Safety ltd, Wigan, WN6 8EA — 1512 yards to the northeast. 2E Gathurst Lane Shevington, Wigan, WN6 8HA — 1203 yards to the northeast. woodview, shevington, wigan, Wigan, WN6 8BG — 1612 yards to the northeast. Houghton Lane, Shevington, Wigan, WN6 8ET — 1236 yards to the north.